© FoxNews.com Cops claim 15-year-old boy and his two friends drugged his mom before strangling, stabbing her in her home. A 15-year-old boy and his two friends have been accused of drugging his mother before strangling and stabbing her in her Maine home, court documents show. 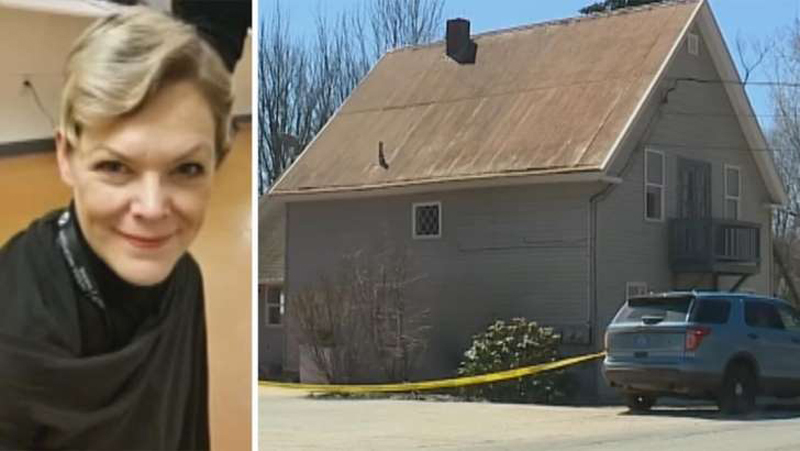 The body of 47-year-old Kimberly Mironovas was found early Sunday morning in her Litchfield Home with stab wounds on her neck. Her 15-year-old son and his two friends from Ashland, Mass., were arrested. Mironovas’ son and a 15-year-old friend were charged with intentional or knowing murder and conspiracy to commit murder. A 13-year-old was charged with conspiracy to commit murder. A juvenile petition containing the chilling details was released on Monday as the three teens appears in court in Augusta. The documents did not provide a motive for the killing but did indicate that the teenagers initially planned to murder Mironovas by crushing prescription pills and putting them in her wine. “After the crushed medication failed to dilute sufficiently in the liquid, [the teenagers] discussed causing Kimberly’s death by other means: stabbing and strangling her,” court documents show, according to the Kennebec Journal. The woman’s son then allegedly “armed himself with a knife and donned a mask and gloves” and then entered her bedroom with his 15-year-old friend, records show. The teens strangled Mironovas while her son stabbed her in the neck, court documents show. Kevin Sullivan, an attorney for the 13-year-old, said his client was bewildered. “He was in a house where someone died and he’s completely distraught because of it,” he said. Court documents indicated that the youngest suspect only participated in the planning, but did not take part in the killing. Attorneys for the two other teens, including Mironovas’ son, declined to comment on the case. Fox News does not identify juveniles unless they are charged as adults. The Kennebec Journal reported that Mironovas had moved from Ashland, Mass. to Litchfield, Maine last year. Lockhart told the Associated Press that Mironovas had once told her that her son was resentful of their move to Maine and wanted to return to Massachusetts. She said her son was angry and had been expelled from school. “He was out of control and had a lot of anger issues,” she added. State prosecutors could seek to try the boys as adults, where murder carries a minimum sentence of 25 years. In the juvenile system, the teens could be detained only until they turn 21.